Paul Essinger is a mid-ranking tennis professional on the ATP tour. His girlfriend Dana is an ex-model and photographer, and the mother of their two-year-old son, Cal. Together they form a tableau of the contented upper-middle-class New York family. But summer storms are blowing through Manhattan, and Paul’s parents have come to stay in the build-up to the US Open. Over the course of the weekend, several generations of domestic tension are brought to boiling point . . .
What does it mean to be a family? To be an individual? And how do we deal with the responsibilities these roles impose upon us? A Weekend In New York intertwines the politics of the household and the state to forge a luminous national portrait on a deceptively local scale. Recalling some of America’s most celebrated novelists - this is John Updike’s Rabbit for a new generation - Benjamin Markovits’ writing reminds us of the heights that social realism can reach. Tolstoy claimed: “All happy families are alike; each unhappy family is unhappy in its own way.” But what if the happy families are actually the most unusual of all? 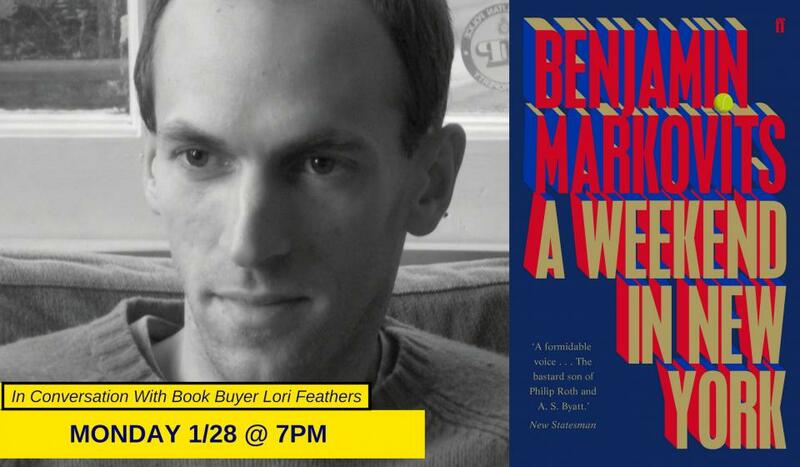 Benjamin Markovits grew up mostly in Texas. He left an unpromising career as a professional basketball player to study the Romantics - an experience he wrote about in Playing Days, a novel. Since then he has taught high school English, worked at a left-wing cultural magazine, and written essays, stories and reviews for, among other publications, The New York Times, Granta, The Guardian, The London Review of Books and The Paris Review. He has published seven novels, his most recent novel, You Don’t Have To Live Like This, set in Detroit, was widely praised. Granta selected him as one of the Best of Young British Novelists in 2013. Markovits lives in London and is married, with a daughter and a son. He teaches Creative Writing at Royal Holloway, University of London.